Village Green Townhouses is a Condo community located in Bardonia NY. 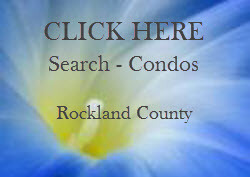 Bardonia is centrally located in The Town of Clarkstown and Clarkstown is located in beautiful Rockland County NY. You can search for all homes for sale in Bardonia here. Can't find what you're looking for? Reach out to us via our contract tab (top right) phone, text or email. So ... what is the Travel and Commute time from Village Green Townhouses to NY City? Options abound for travel from Village Green Townhouses to New York City. It is located right on Rt. 304. Please don't worry about road noise, it is set back far from the road and the grounds are lovely. My best friend lived there and I can say first hand that Village Green Townhouses was a great place to invest. So ... Whether by car, bus or train, your trip to the city is convenient to “all points South (and North)”. In less than five minutes you will gain access to Thruway South, and The Great TappanZee Bridge will speed you along your scenic journey (approximately 30 miles). Close by is The Palisades and New Jersey Highways. For years I’ve been telling you about the Coach Bus … The Nanuet Train Station is close as well. MORE ON SHOPPING Village Green Townhouses: Minutes away you'll find a deli, Target, Lowes, Costco, and much more, including abundant restaurants. Virtually anything you would venture outside to do or shop for is close by and many within walking distance.